KEY BENEFIT : R.C. 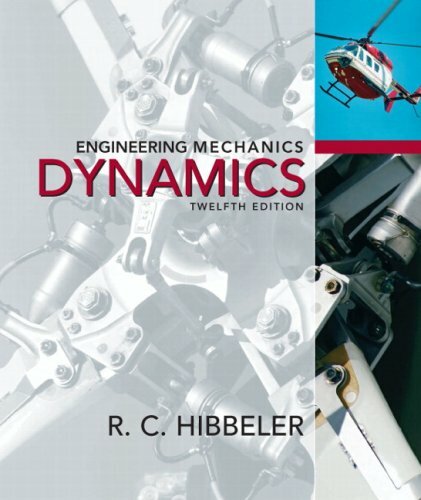 Hibbelerrsquo;s text features a large variety of problem types from a broad range of engineering disciplines, stressing practical, realistic situations encountered in professional practice, varying levels of difficulty, and problems that involve solution by computer. KEY TOPICS : Maintaining the hallmark Hibbeler focus on problem-solving, visualization, and accuracy, this edition includes over 50% new problems, and new elements of Conceptual Problems, Fundamental Problems and MasteringEngineering, the most technologically advanced online tutorial system. MARKET : Ideal for civil and mechanical engineering professionals.